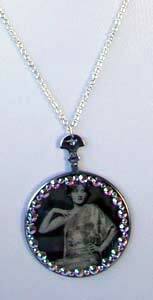 This pendant picture is of a beautiful lady from the 1930's in a stunning fringed dress (which looks very similar one Ive seen worn by Penelope Cruz! ). The monochrome look will compliment this seasons classic trend. To add sparkle I have added 4mm and 2mm AB swarovski rhinestones. 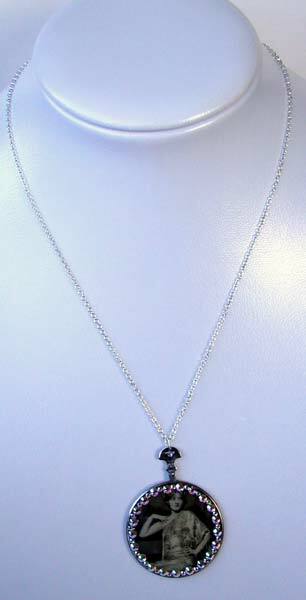 Each optomotrist lense pendant comes with a 16" fine link clasp chain.